Yarr! Buckle up, ye scurvy landlubbers, because this time Rachael and Chris are here to talk about the phenomenon that is One Piece! This weeks News includes discussion about Nintendo's plans to make movies (0:03), and The Red Turtle's Cannes Triumph (0:25).Stuff we've watched this week includes Moomins On The Riviera (0:34) Steven Universe, and Batman: Bad Blood (0:48). 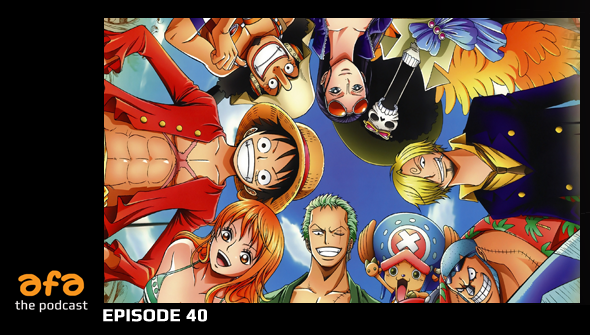 Then it's time to Talk One Piece (1:00- 1:54)! Sign up to our Patreon and you can hear an extended version of this episode, with around 20 minutes of extra content!